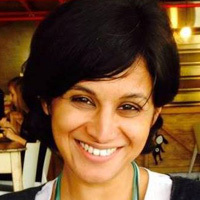 Dr Srila Roy is Associate Professor in Sociology at the University of the Witwatersrand. She has a BA in Philosophy from the University of Delhi and a MA in Philosophy and Social Theory and PhD in Sociology, both from the University of Warwick. Before joining Wits in 2014, she was Lecturer in Sociology at the University of Nottingham where she continues to be Honorary Assistant Professor. She is an Associate Editor of the Journal of South Asian Development, and serves on the editorial board of The Sociological Review, and the council of the South African Sociological Association. She has held visiting fellowships at the Delhi School of Economics, the Institute of Economic Growth, Delhi, the University of Johannesburg, the Universidad de Valparaiso in Chile, and also acted as an external expert to the Bergen Summer School on Global Development Challenges. Dr. Roy uses a postcolonial and transnational feminist lens to research a number of themes including gender and sexuality; cultural memory, violence and trauma; the affective economies of social movements; and the politics of development and neoliberalism, much of which takes as its starting point the contemporary socio-political history of India/South Asia. She is the author of Remembering Revolution: Gender, Violence and Subjectivity in India’s Naxalbari Movement (OUP, 2012), the editor of New South Asian Feminisms (Zed, 2012), and the co-editor of New Subaltern Politics (OUP 2015).